and learn about our coalitions! The Session is off to a fast start on many fronts affecting Georgia consumers. We've seen several bills introduced that will benefit consumers if passed. Read more about legislation we're currently tracking closely below. You can keep up-to-date on all the bills we're following on our Take Action page. We applaud Senator Lindsey Tippins (R-37) for introducing Senate Bill 112 to exempt public and state charter schools from paying financing costs for Plant Vogtle construction through a nuclear tariff on their power bills. SB 112 is co-signed by Senator Bill Cowsert (R-46) and Senator Chuck Hufstetler (R-52). We strongly support this legislation. School money should be for educating students, not building power plants. Introduced by Rep. Scot Turner (R-21), House Bill 42 would make it illegal for state licensing boards to take away professional licenses due to student loan debt or non-payment. We support this commonsense bill, which passed the House Higher Education Committee this week. On February 12, 2019, Senator Brandon Beach (R-21) introduced a companion bill, Senate Bill 92, heard in the Senate Higher Education Committee on February 14. Introduced by Georgia Watch's 2017 Lifetime Achievement Consumer Champion Award recipient, Rep. Penny Houston (R-170), House Bill 23 would expand internet access in rural areas of the state by allowing local electricity cooperatives to sell online service. Georgia Watch supports this measure, which would go a long way toward increasing access to healthcare around the state. On February 11, legislators voted unanimously to pass the bill in the House. Rep. Steve Gooch (R-51) introduced Senate Bill 2, a companion bill that was heard in the Senate Regulated Industries Committee yesterday. Sponsored by Senator Elena Parent (D-42), Senate Bill 41 would create a state earned income tax credit (EITC) in Georgia. We support this legislation that would put more disposable income into the pockets of consumers, give low-income working Georgians an economic leg up, infuse dollars into local economies, and boost business. 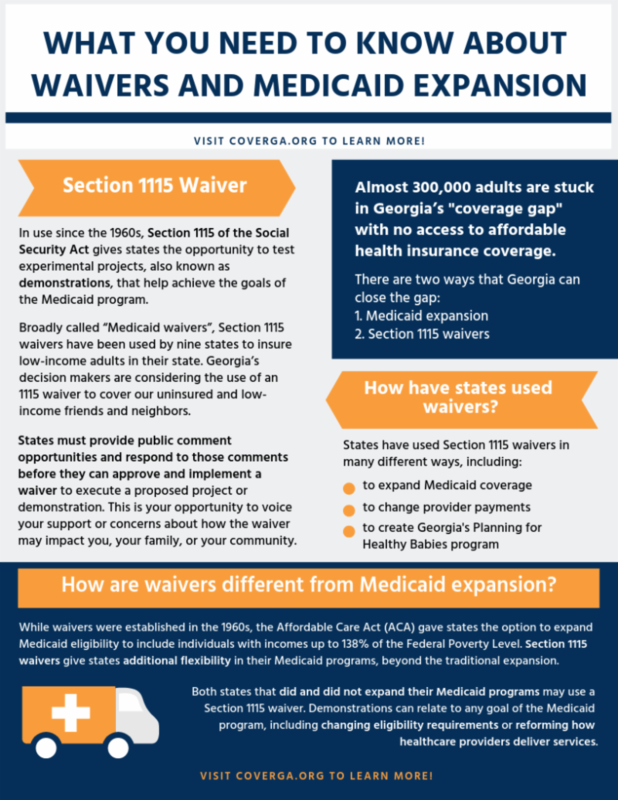 Introduced by Rep. Bob Trammell (D-132) and Senator Steve Henson (D-41) respectively, House Bill 37 and Senate Bill 36 would expand Medicaid in Georgia as envisioned by the Affordable Care Act by increasing Medicaid eligibility for adults up to 138% of the federal poverty level (FPL). This is equivalent to $17,236 annually for an individual and $29,435 for a family of three. Georgia Watch supports closing the coverage gap by expanding Medicaid coverage to all Georgians below 138 percent FPL. Introduced by Rep. Richard Smith (R-134), House Bill 84 would increase transparency related to possible surprise medical bills by setting disclosure requirements for health care providers, insurers, and hospitals. Senate Bill 56, introduced by Georgia Watch's 2018 Lifetime Achievement Consumer Champion Award recipient, Senator Chuck Hufstetler (R-52), would address surprise out-of-network billing by disallowing surprise billing in emergency situations under insurance plans issued after July 1, 2019. Georgia Watch is following these two bills closely, hoping consensus will be reached between the two chambers this year so that patients can be taken out of the middle of this problem. 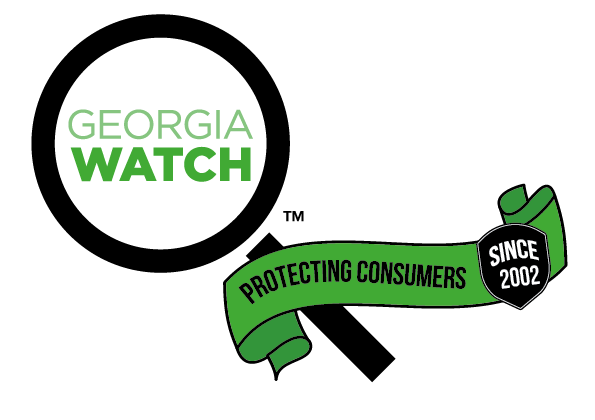 In all that we do at Georgia Watch, we strive to protect and inform consumers so all Georgians prosper and communities thrive. We strive to be a relentless consumer advocate and to ensure equitable outcomes and justice for all Georgians. We would not be able to do this work without the robust partnerships we have formed over the years. 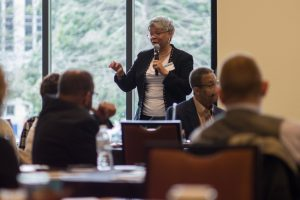 As part of our work, Georgia Watch leads several coalitions that bring together advocates and community members from around the state. Community Health Workers (CHWs), also known as promotoras, outreach workers, community health aids, health promoters, and many other names function in a variety of roles and typically reside within the community that they serve. CHWs can help reduce disparities for vulnerable populations in our state. Georgia Watch leads an advocacy coalition to gather support for a statewide certification and training program for CHWs in Georgia. We have nearly forty individuals and organizations participating in the Georgia CHW Advocacy Coalition. Learn more here . The GFPC, which currently has about 80 members statewide, is a virtual, statewide network of service providers and advocates who want to share information and protect consumers. The GFPC provides opportunities for service providers, advocates and consumers' voices to be heard on issues that affect the financial well-being of their communities; provides opportunities for advocacy; and keep members up-to-speed on events at the State Capitol and in Washington. Learn more here . Georgia Watch has received a sub-award from the Identity Theft Resource Center to support our involvement in the National Identity Theft Victims Assistance Network (NITVAN)! With this funding and technical support, we are creating the Georgia Identity Theft & Cybercrime Coalition (GITCC). Throughout 2019 we will convene service providers, stakeholders, community leaders, and subject matter experts in an annual convening, regular webinars, and via a digital forum to discuss identity theft and cybercrime in Georgia. Additionally, we will host workshops across the state, educating families about cybercrime and identity theft. If you are interested in becoming joining a coalition, please contact Nia Brown at nbrown@georgiawatch.org . Car title lending costs Georgia families $199,575,563 per year in abusive fees. Borrowers must provide the title of their vehicle as collateral for this high-cost loan, which forces a family dependent on that vehicle for their livelihood to renew the loan repeatedly if they cannot afford to pay it off in full -- or lose their car to the lender. Almost 300,000 adults are stuck in Georgia’s "coverage gap" with no access to affordable health insurance coverage. There are two ways that Georgia can close the gap: 1. Medicaid expansion 2. Section 1115 waivers. Read the factsheet to learn more!